Children Mine Cobalt for Your Electronics. But Blockchain Can Fix That. 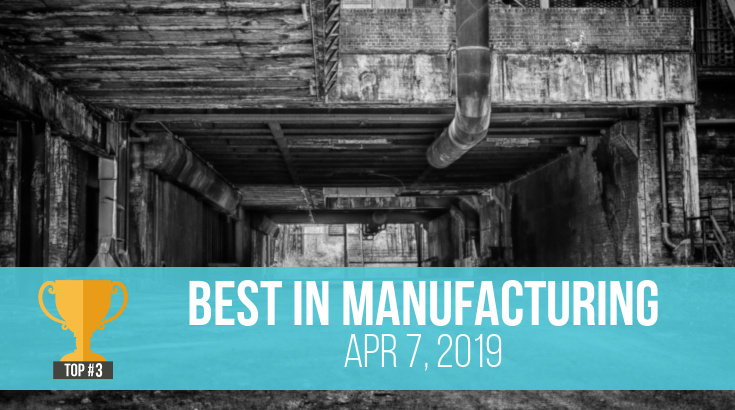 Blockchain solution for child labor, paid loyalty programs and Bangladeshi factory worker strike in this week's roundup. 1. Children mine cobalt for your electronics. But blockchain can fix that. Cobalt demand is expected to increase by eight times its current levels by 2026, according to a report from Morgan Stanley. The chemical element is an essential raw material in the production of lithium-ion batteries, which power everything from consumer electronics to electric vehicles. But cobalt mining presents many supply chain challenges. Most of the world’s cobalt is sourced in Congo, where UNICEF has estimated 40,000 children are working to mine it. Labor conditions are so poor that a handful of human rights groups are pushing to expand the Conflict Minerals Rule to include cobalt. The U.S. legislation is aimed at improving violent mineral trade. But currently only requires companies to monitor and report on imports of tin, tungsten, tantalum and gold (or 3TGs). But a new program by Ford and IBM, along with Huayou Cobalt, LG Chem and RCS Global, hopes to use blockchain as a solution for these cobalt sourcing woes. Explore the creation of an open, industrywide blockchain platform that could ultimately be used to trace and validate a range of minerals used in consumer products. As demand for cobalt grows, this pilot could set a new standard for producing, trading and processing materials in the supply chain. Pilot tracks Ford’s cobalt supply chain from Congo to South Korea to U.S. The pilot is based on a sourcing scenario using Ford’s cobalt supply chain. It aims to demonstrate how materials in the supply chain are responsibly produced, traded and processed. The cobalt will be traced as it travels from Huayou's industrial mine site in the Congo to LG Chem's cathode plant and battery plant in South Korea and finally to Ford’s plant in the United States. Partners at each major stage of the supply chain will add data to the blockchain for any key event, such as smelting and refining. The data will then be validated against the Organization for Economic Cooperation and Development’s (OECD) responsible sourcing standards. IBM hopes combining blockchain technology with traditional compliance data from third-party audits will help create an immutable audit trail for cobalt supply chains. Know the percentage of cobalt that is verified to meet the guidelines and… ensure their downstream partners that they too are following these guidelines. The pilot is expected to be completed by mid-2019. After that, IBM plans to make the solution more widely available. The company aims to open its platform to mining companies, battery manufacturers and original equipment manufacturers (OEMs) across the automotive, electronics, aerospace and defense industries. The group also wants to establish a governance board representing members across participating industries. Will be used as a precedent for the rest of the industry to be further extended to help ensure transparency around the minerals going into our consumer goods. If the project meets these goals, it could have a drastic impact on the mineral sourcing industry. Follow the link below for more on Ford and IBM’s plans to track cobalt with blockchain. Amazon Prime has more than 100 million members globally. Benefits and fees vary around the world. In the U.S., the subscription costs $99 a year and entitles members to free media and a range of free delivery offers. While the average American holds memberships in nearly a dozen reward programs, most are unpaid. Unpaid programs have become so commonplace that the perks are increasingly seen as entitlements and few loyalty program members are actively engaged. Retailers spend mountains of money to build loyal customers but fail to retain their transient loyalty. And many end up subsidizing products that loyal customers would have purchased anyway. This loyalty program dilemma is prompting retailers to explore paid membership programs. With traditional loyalty programs, customers might put a card in their wallet and then forget about it. But a customer willing to pay a membership fee displays an entirely different level of commitment. Sixty-two percent of consumers said they would consider paying for their favorite retailer’s rewards program in a study by Loyalty One. But the success of a paid loyalty program hinges on the retailer’s ability to offer a value that’s intrinsically greater than the fee itself. While free loyalty programs try to breed loyalty from the masses, paid loyalty memberships must cater to a company’s core customer base. Paid memberships must also offer emotional value and make a shopper feel special. Amazon Prime isn’t just a points reward system. It’s a carefully curated ecosystem of value. Paying for Prime gives you access to the kingdom of all Amazon has to offer. What does your brand have to offer? How can retailers keep interest alive? Retailers benefit from paid memberships as well. 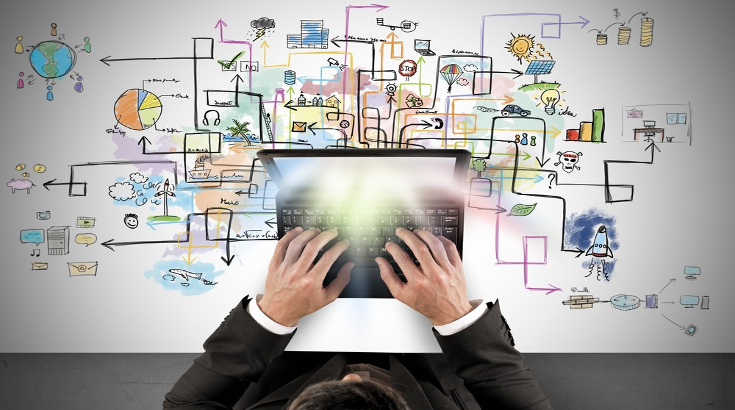 One of the biggest benefits is the level of transparency into the customer’s priorities. Paying members are often more inclined to share information about themselves when they know doing so contributes to shaping their experience with your brand. Provide relevant (and controlled) value – Target your benefits and give customers as much control as possible. Make customers feel smart – Not all benefits need a label. Exclusivity and financial sense create emotional appeal. Include an element of surprise – Keeping the program fresh with surprises will help prevent shoppers from growing bored. Instead of upping your loyalty spending budget, consider building a paid premium loyalty program. It won’t cater to the masses, but it could get loyal customers into your store more often. 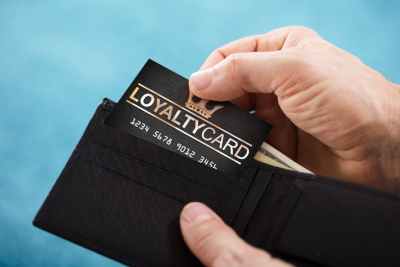 Follow the link below for more on paid loyalty programs in retail. Bangladesh is the second largest global apparel exporter after China. It’s a popular destination for garment production because of its textile infrastructure and low wages. But the garment sector’s minimum monthly wage rose 51 percent in December, from 5,300 taka ($63) to 8,000 taka ($95). But many Bangladeshi workers claim the wage increase only benefits a small portion of workers. 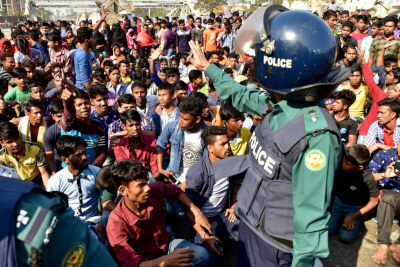 Fighting for fair wages, thousands of Bangladeshi factory workers took to the streets for more than two weeks of protest at the beginning of January. The protests prompted scores of manufacturers to halt production. And it’s pushed consumers to take a closer look at garment sourcing standards, especially in Bangladesh. Last September the Bangladeshi government announced a minimum wage increase for garment workers—the first such increase since 2013. Garment worker wages in Bangladesh are based on a seven-level pay scale. Along with basic salaries, it includes allowances for food, rent, transport and medical care. Workers said the increase would benefit only a small percentage of those employed in the garment sector. And because of this, 50,000 workers walked out of their factories in early January. More than 4,500 factories were impacted by the strikes, some of which make clothes for major retailers like Walmart, Tesco and Aldi. During the protests, one garment worker was killed, and 50 others were injured. To end protests, Bangladesh’s prime minister eventually agreed to additional, but marginal, increases to grade 1 through 6 wages. The protests have died down for now, but unrest remains. Many workers, returning to their factories, found notes informing them of their dismissal. And the government continues to postpone a decision on the future of the Accord on Fire and Building Safety, the international compliance framework implemented after the Rana Plaza collapse. 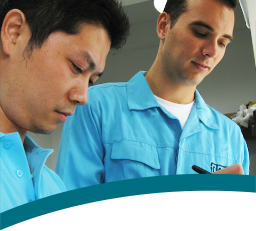 Manufacturers often offshore production to keep costs low. And most customers aren’t willing to pay for the costs of “ethical” production they’re pushing for. But you must know your customer base. Would they be outraged if your production and social compliance standards were publicized? The Spice Girls released new memorabilia at the end of January. Some of the profits were set to benefit Comic Relief’s Power Up Campaign, which helps “champion equality for woman and girls”. T-shirts from the campaign sell for about $25. But they’re made by women in Bangladesh, who earn about $0.45 an hour. While the workers make about $12 above the monthly minimum wage, consumers were still outraged when they discovered how much workers were paid. What happened here presents a valuable lessons for manufacturers: Just because you pay the minimum wage doesn’t mean your customers will think it’s a fair wage. In this case, Comic Relief said its supplier, Represent, changed manufacturers without their knowledge. And Represent agreed to issue refunds to any customers who ask. While Comic Relief said they checked with Represent to verify fair pay prior to production, they obviously didn’t vet their supplier thoroughly enough. It’s completely reasonable to manufacture in countries with low wages. But importers must do so consciously, especially throughout this tense time in the Bangladeshi garment sector. Follow the link below for more on the Bangladeshi garment worker strike.